Brad Bird, writer of the hit 2004 movie, “The Incredibles,” is writing its sequel. Here’s the news on what’s happening. 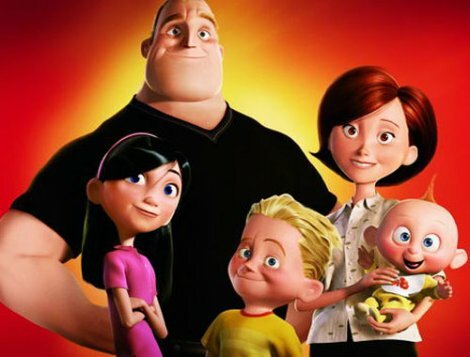 In “The Incredibles,” the Parr family hid its super gifts after being rejected by society, but made good at the end of the story. I’m excited to see what Bird will come up with this time. Helen Parr, (Elastigirl) the wise, witty and resourceful matriarch in the Incredible family, was the topic of this post. To me, she represents a model of strong, loving and faithful women. Since I decided to post about all types of media, she’ll probably show up in a future blog post when Bird’s movie is released. Another hit movie by Pixar, “Toy Story,” had a couple of successful sequels. It doesn’t always happen with animation. There’s no mention of a release date for the sequel, but let’s wish all the best to Bird and the whole production team.